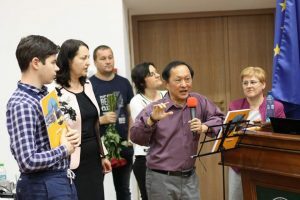 Physiology Department of “Iuliu Hațieganu” University of Medicine and Pharmacy Cluj-Napoca, organized the 1st Romanian Edition of the Inter-Medical School Physiology Quiz, a contest whose origins are attributed to Prof. Dr. Cheng Hwee Ming from the University of Malaya, Kuala Lumpur, Malaysia. 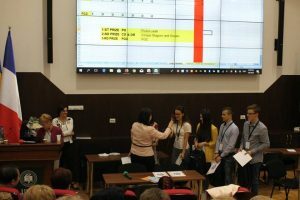 The event took place on 9 of May 2018 in “Iuliu Hațieganu” Auditorium and it brought together a number of 24 teams of medical students from several Romanian Medical Universities, thus comprising a total of 110 participants. We can highlight the fact that this event was also a premiere due to the involvement of English section medical students from Arad, Cluj-Napoca, Craiova and Oradea Medicine Universities. The Quiz was named after the distinguished Romanian Physiologist, Professor Mircea Dorofteiu, remarkable scientist of Cluj-Napoca Physiology, perfect teacher, exceptional researcher, trainer for numerous student generations, and a real model for all of us. Professor Cheng is a distinguished Physiologist, recognised in entire world as a specialist in innovative approach to Physiology teaching and learning techniques. In Malaysia, this type of contest was organized for the first time in 2003, with 7 participant teams from Malaysia Universities. The enthusiasm of the students that participated to the competition, the contest impact on the Physiology teaching, but especially the implication and the unique vision of Professor Cheng, led to a progressive increase, year by year, of the interest for this quiz. The last edition of the Inter-Medical School Physiology Quiz in Malaysia, took place in Kuala Lumpur on 15th-16th of August 2018 and brought together 460 students from 24 countries, organized in 104 teams, with 120 physiology lecturers. 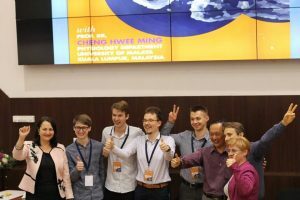 Over the years, Professor Cheng was invited to participate in coordination of this type of contest in different countries of Asia, but also in United States and Australia. Romania is the first country from Europe that organized this competition. 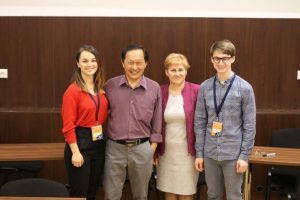 Professor Simona Clichici, Chief of Physiology Discipline, and Professor Adriana Filip organized the 1st Romanian Edition of the Inter-Medical School Physiology Quiz, with the help of two dedicated students in physiology: Nicu Andronic and Anca Verdeş. Professor Cheng honoured us with his presence and coordinated the entire competition. The final round involved the winners of the previous round. Professor Cheng asked the questions that were particularly focused on Respiration, Excretion, Cardiovascular System, Hormones and Neuronal Physiology. The teams had 30 seconds to give the answers. With the chronometer started and with the public in front of them, the students had to prove their ability to focus, to work together and to write the best response they had. Our quiz was a real multicultural event and this fact was also visible in the winner teams. Three teams from Cluj-Napoca U.M.Ph. “Iuliu Haţieganu” won the second and third prizes: two teams from Romanian section and one team from English section. The event was a great success, being dynamic and attractive for the competing students, the University staff and other colleagues who supported the teams and followed the contest evolution till its end. Professor Adriana Filip said that a great merit of this competition was the bringing together of the medical students from all over the country, students who spoke a common physiology language, and who demonstrated the great implications that physiology knowledge has in medical practice. They had the opportunity of sharing their knowledge and feelings regarding the medicine and the competition, and they had established long-lasting friendships. We express our gratitude to Professor Cheng Hwee Ming for his encouragement, his organizational support and for giving us the opportunity to share our interest in Physiology. We express our thanks to all the participants for their enthusiasm, interest and passion for physiology that made this milestone event possible! Congratulations to the winners and we wish them to accomplish their dreams and expectations in their academic life! 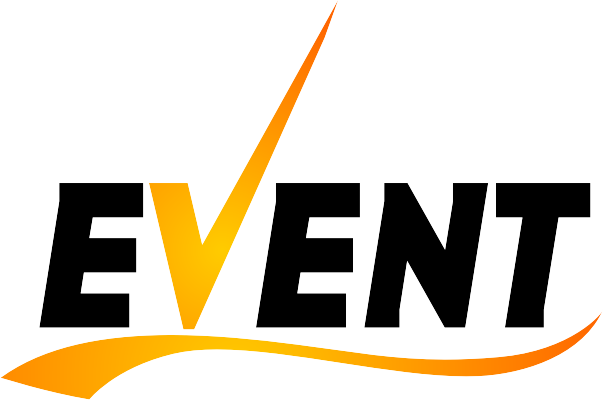 We invite you all to the next edition of this contest, in Cluj-Napoca, on 7-8th of May 2019! We are glad to announce you that this year will take place the Second Edition of the Inter-Medical School Physiology Quiz in the University of Medicine and Pharmacy “Iuliu Hațieganu” Cluj-Napoca, Romania on 7-8th of May 2019. We are honoured to have with us Dr. Cheng Hwee Ming, specialized in Teaching and Physiology Question-Based Learning at the University of Malaya, Kuala Lumpur, Malaysia. The Inter-medical School Physiology Quiz (IMSPQ) was brought to life by Professor Dr. Cheng Hwee Ming in 2003, in University of Malaya with a small gathering of seven Malaysian medical schools. In the following years, Professor Cheng initiated the quiz in USA and many countries from Europe and Asia. The exponential growth of the IMSPQ as well as its impact on physiology education in more than 25 countries brought the event in Romania, too. We think that you will be excited to hear that, the distinguished physiologist Walter F. Boron participated at one of the latest edition of the quiz, so you can imagine its outstanding reputation. 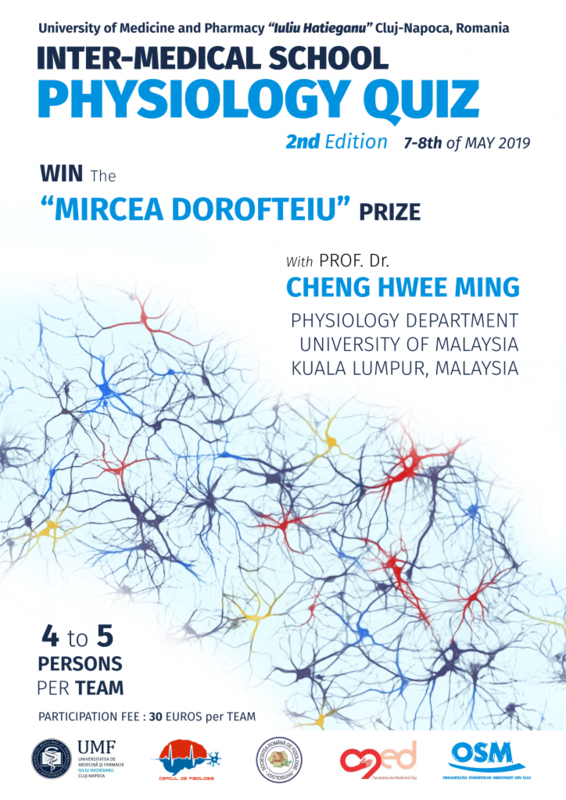 It might also be motivating for you that, the winning team from the first Edition of the Romanian Quiz, a team from Targu Mures University, participated at the Physiology Quiz from Kuala Lumpur, Malaysia. 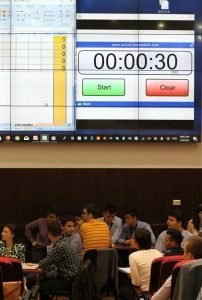 Also, a team of students guided by Prof. Dr. Adriana Filip and Assistant Professor Ioana Bâldea (2010) and another team guided by Prof. Dr. Adriana Filip and Prof. Dr. Simona Clichici (2011) participated at the Physiology Quiz from Kuala Lumpur, Malaysia, representing Romania. So, are you interested in Physiology? Do you want to find more about the clinical use of Physiology and its importance in your medical development? If the answer is “YES” to all of this questions, do not hesitate to participate at the Contest! What do you need for attending it? Just some knowledge about Physiology, a lot of motivation and enthusiasm. Create your team and come to Cluj-Napoca! A lot of prizes and surprises are waiting for you!